The Baler Application guide is meant to be a quick glance of particular industries and material applications in which balers are most commonly used. The main decision making should be based on the material being baled, the volume being processed, the densification requirements and other important factors. Of course baler uses can vary widely within each industry but there are also common frequencies that occur as it relates to the sizes and types of balers that are most applicable. X's indicate balers most commonly used in each type of application. Example bale wt: Cardboard-150 lbs. Example bale wt: Cardboard-245 lbs. Huge Power in a Small Baler! Example bale wt: Shrink Wrap - 300 lbs. - PET Plastic 250 lbs. Example bale wt: Cardboard-150-175 lbs. Has the Power of a larger baler! Example bale wt: Cardboard - Up to 800 lbs. Example bale wt: Cardboard-Up to 900 lbs. 7" Cylinder has the Power of larger baler! 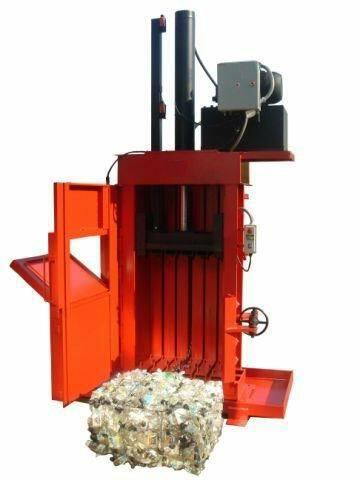 Great Performance for a Standard Baler! Example bale wt: Cardboard up to 900 lbs. Great Value for such a Low Price! Example Up to bale wt: Cardboard 1,000 lbs - Shrink Wrap - 800 lbs. 8" Cylinder offers Super High Performance! Example Up to bale wt: Cardboard: 1,200 lbs - PET: 800 lbs - Steel Cans: 1,200 lbs. Designed with special emphasis on baling Textiles and Clothes. Example bale wt: Cardboard 750 lbs. Example bale weight: Cardboard 700 - 900 lbs. Example bale weight: Cardboard - 1,200 lbs. Example bale weight: Cardboard - 1,100 lbs. 7" Cylinder has the Power of larger baler! Very High Performance! Example bale weight: Cardboard - 1,300 lbs. 72" Super High Density Vertical Balers Vertical 8" Cylinder offers Super High Performance! Example bale weight: Cardboard - 1,400 lbs. Example bale weight: Cardboard-up to 1100 lbs. Example bale weight: Cardboard - 750 lbs. 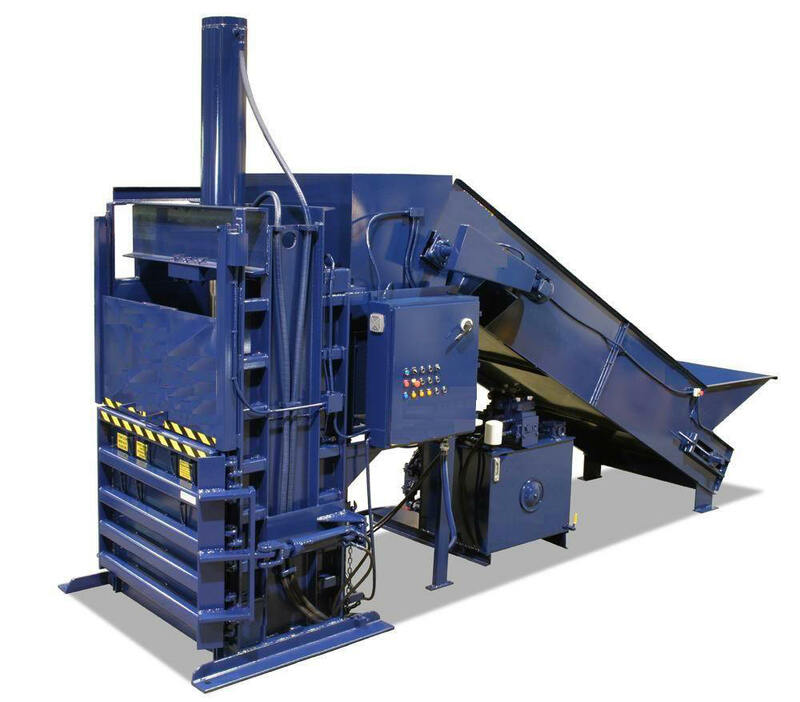 Combines baling and draining of both aluminum and plastic containers in one step. Performs over 7 times faster than draining your containers manually. Makes the highest density bales available in its class. This power also enables the user to bale a variety of materials including corrugated containers, newspaper, and aluminium cans, as well as other recyclable materials. Loaded with extra features not found in comparable balers. Example bale wt: Polyurethane Foam Up to 1200 lbs; Bulk OCC Bulk ONP - 1,450 lbs. Example bale wt: Cardboard Up to 1750 lbs; Bulk ONP - 1,875 lbs.